Tree climbing work should never be performed without proper training and equipment. Hunter's Tree Service has the skills, knowledge, and equipment to provide professional tree climbing services to the Bonney Lake, WA community. Our services are available for both residential and commercial property owners. 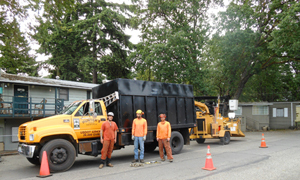 When pruning large trees, specialized equipment and training are required. Never risk your safety when pruning large trees. We know how to prune trees safely and efficiently. When it comes to pruning large trees, we get the job done right, the first time around. When we are pruning large trees on your property we help them remain healthy and beautiful. Why Choose Us for Trimming Tall Trees in Bonney Lake? Are you wondering how to cut tree limbs that are too high to reach? Trimming tall trees is a job that is best left to the professionals. 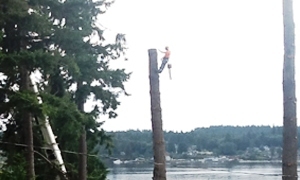 Our team has the experience and equipment necessary for trimming tall trees in Bonney Lake. Whether you are a homeowner or a business property owner, we can take care of tall trees on your property. Our ISA Certified Arborists have been trimming tall trees for years and know just what it takes to ensure optimal condition for new growth. 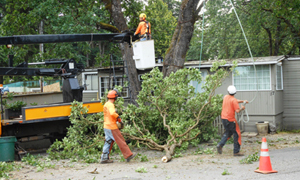 For more information on our services for trimming and pruning large trees in the Bonney Lake area, do not hesitate to call Hunter's Tree Service at 253-777-1938.